Entertainment Weekly got the exclusive to debut the first look at Marvel’s Vision from the upcoming Avengers: Age of Ultron. Marvel had kept Vision’s full look from the public for the most part, aside from a few promotional stills, for most of the walk toward May 1, 2015. Now, we can see a full look at the hero who will play a pivotal role in Age of Ultron. 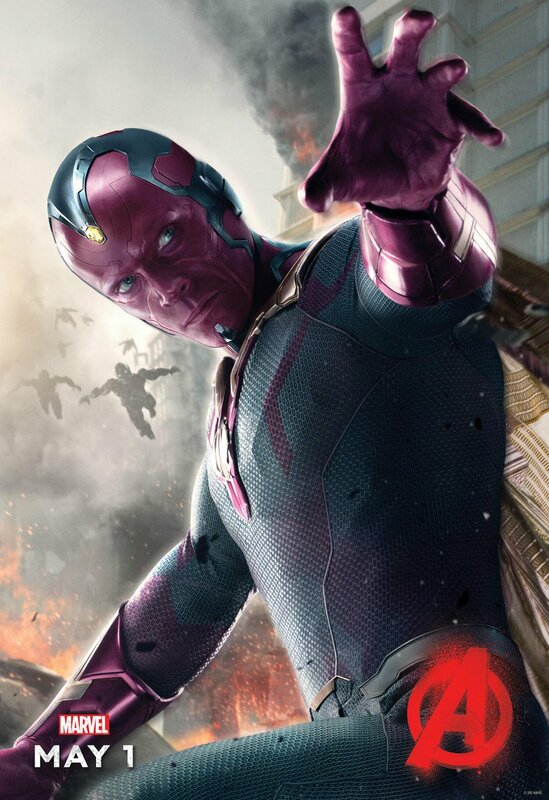 Paul Bettany plays Vision through motion-capture in the film after having previously voiced Tony Stark’s artificial intelligent computer J.A.R.V.I.S. Vision will be a superpowered game-changer for the Avengers are they learn that Nick fury isn’t the only one who can find (or create) people with power. Marvel’s Avengers: Age of Ultron debuts on May 1, 2015.